Kenny here. 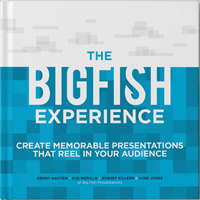 Today, I’d like to give our loyal blog followers, a nice little present from the Big Fish Presentations team. What would you do if you woke up to find yourself experiencing a stroke? That’s exactly what Dr. Jill Bolte Taylor experienced on the morning of December 10, 1996. 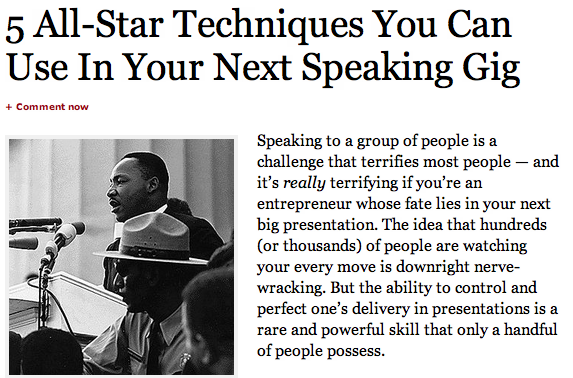 Please see below our breakdown on how Sinek enchants his audience. Right off the bat, Sinek has engaged the audience with a deep question, one that actually stimulates thought and creates a tiny wisp of suspense.